Yeovil Town Ladies Football Club is delighted to announce that their home ground for the 2018/19 season will be The Avenue Stadium, home of Dorchester Town FC. In addition, the club is also pleased to reveal that they also hope to return to their former home ground, Huish Park, and home of their parent club, to play some league and cup games. The announcement comes just weeks after the FA revealed final plans and arrangements of the reshaped Woman’s Super League. Yeovil Town Ladies FC has retained their prestigious position in the Women’s Super League, tier 1, and will play against teams such as Manchester City, Arsenal, Birmingham City, Brighton & Hove Albion, Bristol City, Chelsea Ladies, Everton Ladies, Liverpool Ladies, Reading Women and West Ham. As a condition to retaining their top tier status, Yeovil Town Ladies has embarked upon a journey which will see the club transfer from semi-professional to a fully professional club, with a squad of players under professional contracts. They will also guarantee 16 to 20 contact hours per week, which is a huge step change to last season which saw the Yeovil side meet on minimal hours per week. Steve Allinson, Chairman of Yeovil Town Ladies FC, said “We are thrilled to formerly announce our plans for the forthcoming season and are delighted that both Dorchester Town FC and Huish Park are committed to driving forward women’s football in the South West. 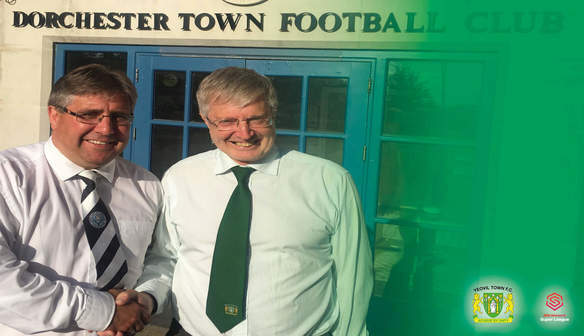 "Whilst we are of course continuing with discussions to play some games at Huish Park, we also see the benefit of spreading the message across the county and beyond, and are very much targeting Dorchester as a potential area to grow both our fan base and commercial links." Dorchester are currently embarking on a massive regeneration project which will see the transformation of their current pitch to a state of the art high quality 3G pitch in time for the start of the 18/19 season. 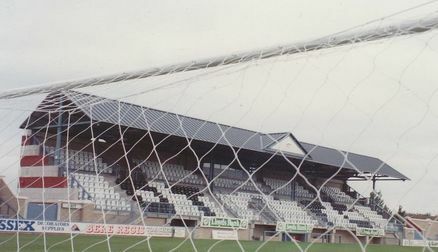 Matt Lucas, Chairman of Dorchester Town FC, said "We are very excited to welcome Yeovil Town Ladies FC to our stadium this coming season as their primary home ground. In discussions between the two clubs there has been a real desire to make this happen and work together for the benefit of both Clubs." Lucas added, "Dorchester Town FC and Dorchester Town Youth over many years now, have been promoting girls football in the area and we are also very pleased as a club with the introduction of the new SSE Wildcats scheme which has had a great start with excellent numbers attending with girls from Dorchester and the surrounding areas, showing our commitment to help grow the game even more. There are only positive outcomes to now welcome Yeovil Town Ladies to Dorchester Town FC to promote the interest of the Ladies game in the area which is really going from strength to strength. "We are extremely pleased that we will be able to showcase top level Women’s Super League games on our new 3G pitch this coming season with a team that have made such great strides in the game." Trevor Jenkins, General Manager of Yeovil Town Ladies FC, said “Dorchester Town FC is an approved FA ground meeting and exceeding the relevant criteria for hosting such games and will provide an excellent environment for our fans. We are extremely conscious of the late cancellations and ground changes from last season and the difficultly this caused our fans, supporters and sponsors, however our partnership with Dorchester Town FC will allow us to both promote and fulfill our league fixtures with confidence and reliability, which of course is crucial." The 2018/19 season begins on 18th August, with fixtures due to be released in mid July. Yeovil Town Ladies FC fans will be given an opportunity to attend an open fans event, to meet the players, coaching staff and board members at the new home ground. More details to follow on this soon.